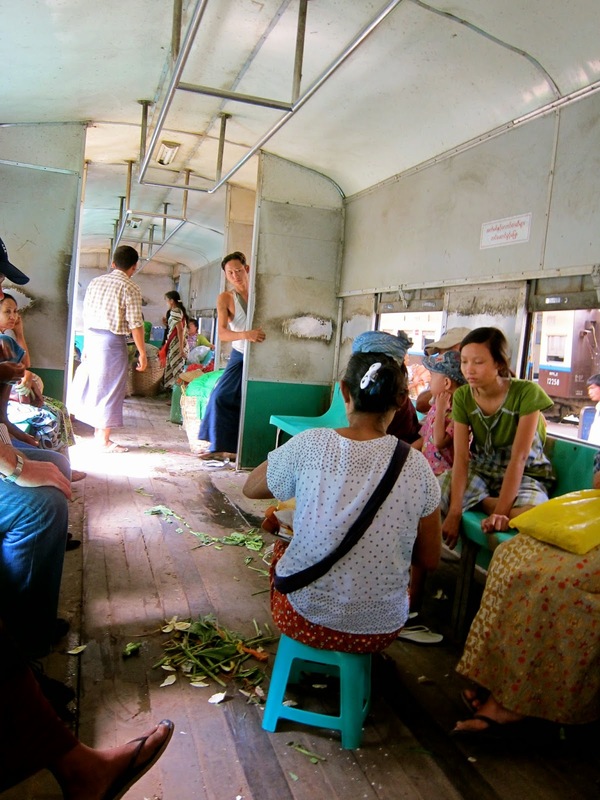 The circular train in Yangon is a major means of transporting people and goods around the sprawling suburbs of Yangon. 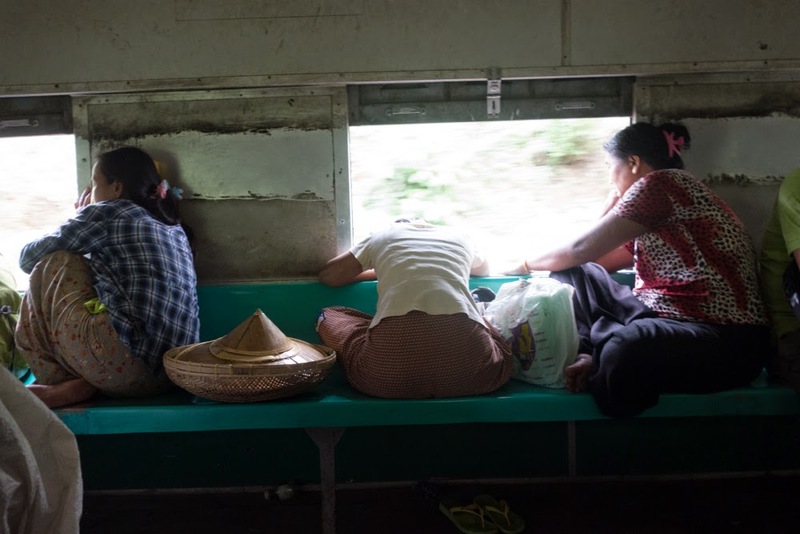 The entire journey takes several hours, all of them spent in a long, hot, slow carriage. Each stop is a full performance of the human experience, as people get on and off the train hauling large bags of everything, fighting, laughing, sleeping. You'll see it all. I jotted down observations in my notepad to pass the time. A train window frames a woman carrying a tin tray of sliced watermelon on her head. 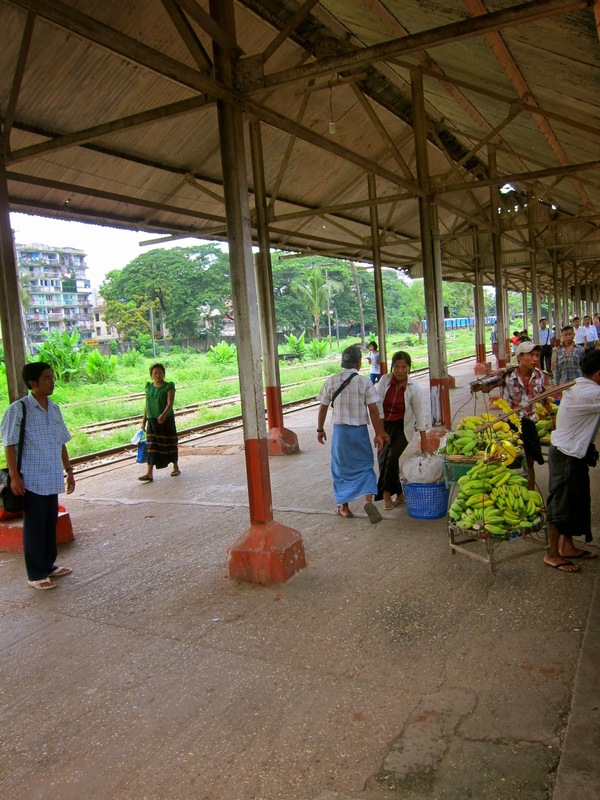 Merchants selling cigarettes, fruit, food, bottled drinks, juice, eggs, and something that looks like small cans of white paint (maybe thanaka) step on the train and advertise this goods in melodies. Each voice and tune is a little different. Most people take off their shoes and sit cross-legged and barefoot on the green plastic bench. The train jerks back and forth, oscillating as our thoughts do, between past and future, stuck swaying in the awkward present. 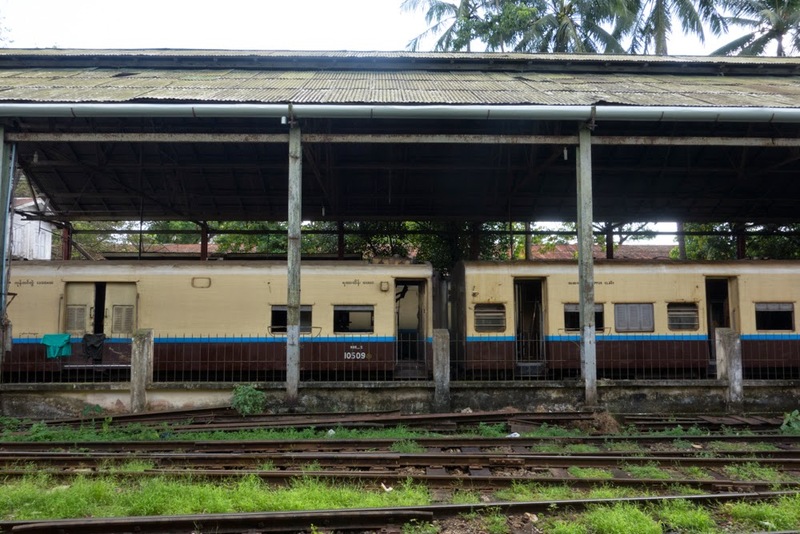 Two friends sit cross legged on the bench, backs to the carriage, faces and elbows poked out over the edge of the glasses windows, watching the moving view as though they were staring at a cinema screen.